Until now, all Stanley-type bench plane irons were bedded at 45°, or Common Pitch. But the famous English Smoothers like Norris are usually 50° (York Pitch) or 55° (Middle Pitch). 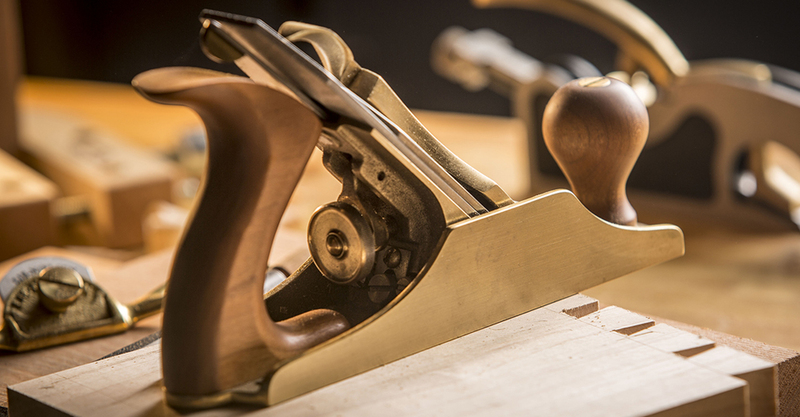 The higher pitches make smoothing difficult wood easier. York Pitch will handle most tear-out prone wood well. Middle Pitch is for the most difficult woods. 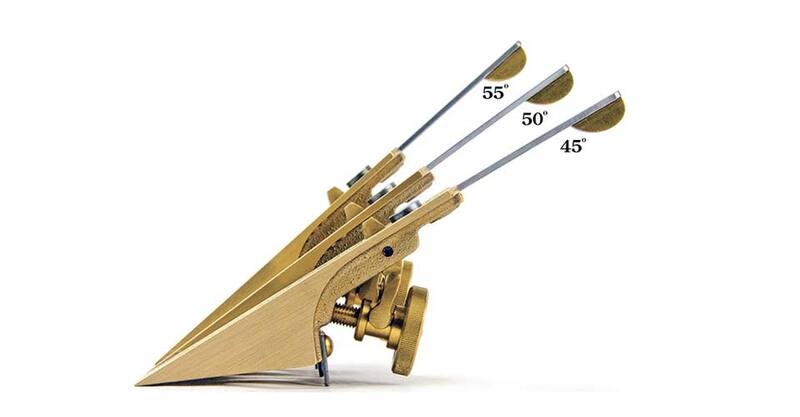 These unique High Angle Frogs quickly convert our bench planes (No.3 - No.7) to Middle Pitch (55º). Will not fit other makes of planes. May be ordered extra or installed in the tool. Manganese Bronze, Brass and Steel.